My Cluttered Corner: Prickely Pear & CardMaker Magazine Blog Hop! 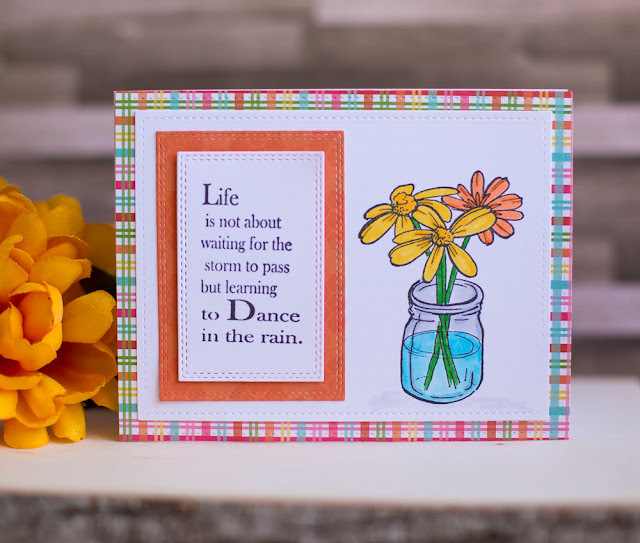 Prickely Pear & CardMaker Magazine Blog Hop! Welcome to the Prickley Pear and CardMaker Magazine Blog Hop! We've teamed up to bring you lots of inspiration using the latest from Prickely Pear and if you comment on all the blogs in the hop you will be eligible to enter a giveaway for $20 to the Prickley Pear shop! I used the Life is Not About stamp to create a sentiment block. 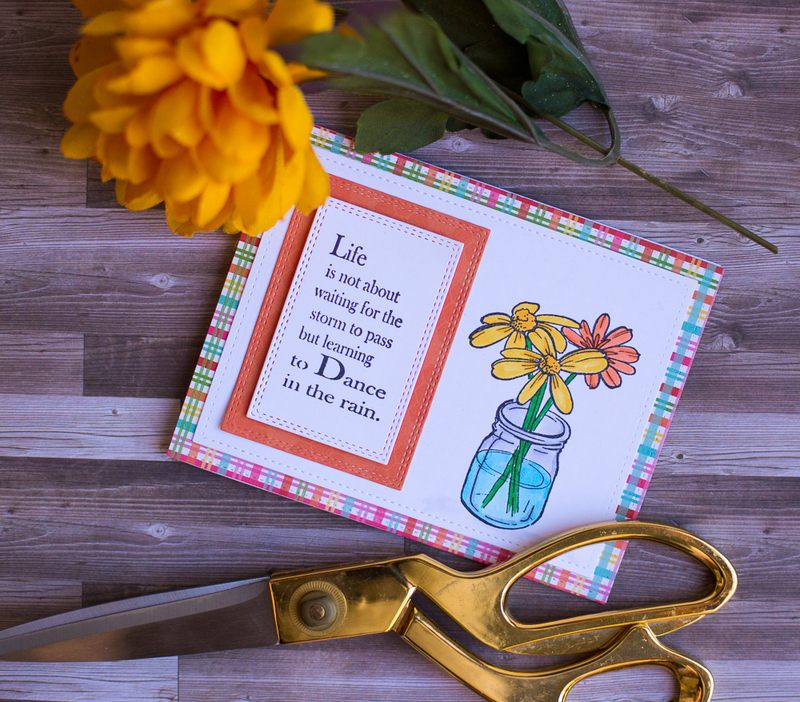 I stamped the Jar Full of Daisies stamp for my image and colored it in with Copic markers. Next up on the hop is Heidi Erickson! Be sure to stop by and check out her stunning creations and leave comments along the way to be entered into the $20 drawing! If you get lost along the way, the CardMaker Magazine blog will have all the blog hop participants listed! Thanks for stopping by! Sweet card. I like the plaid background and how you colored the flowers. Love the jar of flowers! Sweet card!